William J. Maledon - Mediator based in Phoenix, Arizona. Please click your preferred available date to submit a request. Your Appointment Form will be sent to William's assistant, Jessica Lopez. Since 2007, Bill Maledon has served as mediator or special master in many cases involving a wide variety of legal issues. He brings to his mediation practice extensive experience in both federal and state courts in a wide variety of cases, including antitrust and trade regulation cases, product liability cases, negligence cases, securities cases, insurance cases, professional liability cases, and sports cases. He also has extensive experience in handling appellate matters. Bill is recognized as one of the leading commercial litigation and trial attorneys in Arizona. 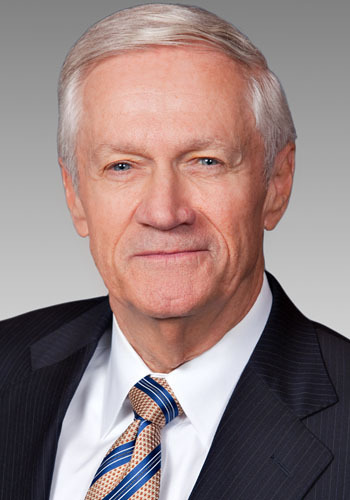 He began his legal career in Arizona in 1974 after a clerkship with Justice William J. Brennan of the United States Supreme Court. He has been listed in Best Lawyers in America for over 25 years and has been recognized by Best Lawyers on several occasions as "Lawyer of the Year" in various categories. In addition, for the last 15 years he has been named by Chambers USA as one of the top-tier business litigation attorneys in Arizona, and since 2012 he has been listed by Chambers as the only "Star" litigator in Arizona. On several occasions, he has been named by Law Dragon Magazine as one of the 500 leading lawyers in America. He is a Fellow of the American College of Trial Lawyers, a Fellow of Litigation Counsel of America, and a member of numerous other professional organizations. $550 per hour. No cancellation or postponement fee if scheduled mediation is cancelled before mediation briefs are submitted..